After the inaugural 70000TONS OF METAL in January 2011, some of our survivors conceived the “Cripper Award” – named after the band CRIPPER, the award is bestowed on the best band that had been previously unknown to most Sailors before sailing on The Original, The World’s Biggest Heavy Metal Cruise. 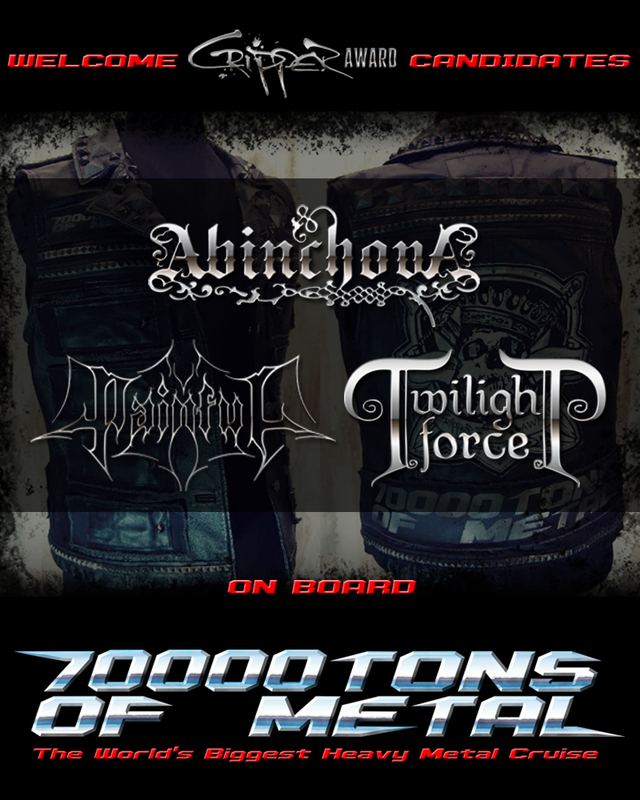 Please welcome 3 Bands from 3 different Countries playing 3 different Genres of Metal that may qualify for next year’s award: ABINCHOVA from Switzerland, PAINFUL from Germany and TWILIGHT FORCE from Sweden. And now we will sail to a land of ice. ← How About Some NWOFM On Board?